Can you believe it?! Pretty surreal. I almost felt like I didn’t have to leave the room for the rest of my stay! 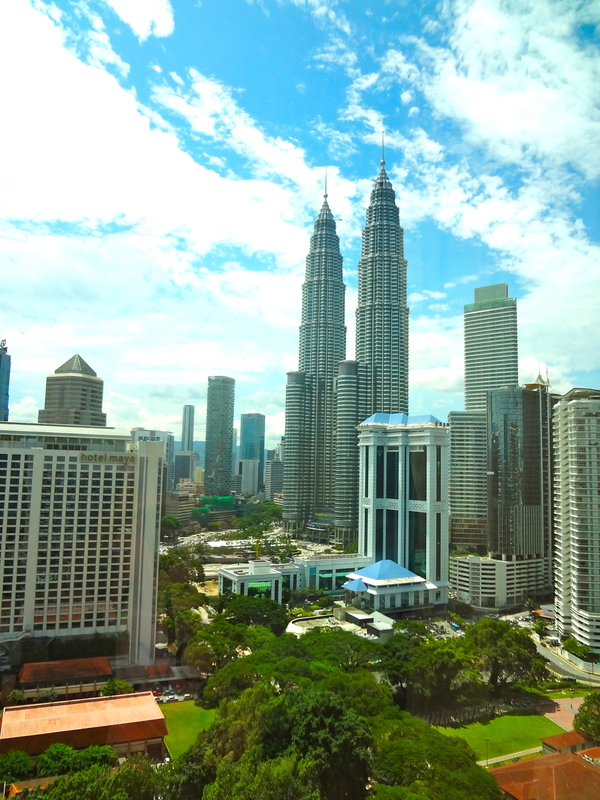 Behold the famous Petronas Towers. From 1998-2004, they were the tallest buildings in the world, until surpassed by the Taipei 101. 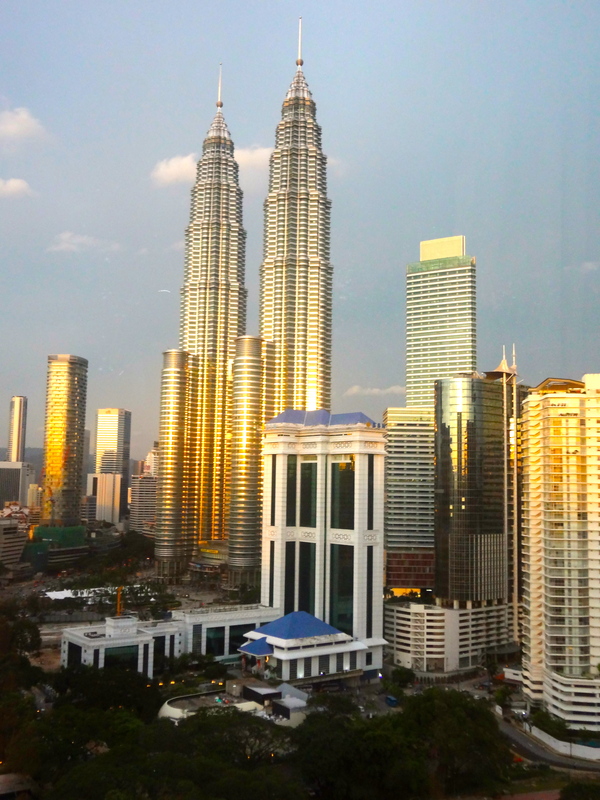 However, they remain the world’s tallest twin towers. I couldn’t help but take photos of them throughout the day as the lighting changed. 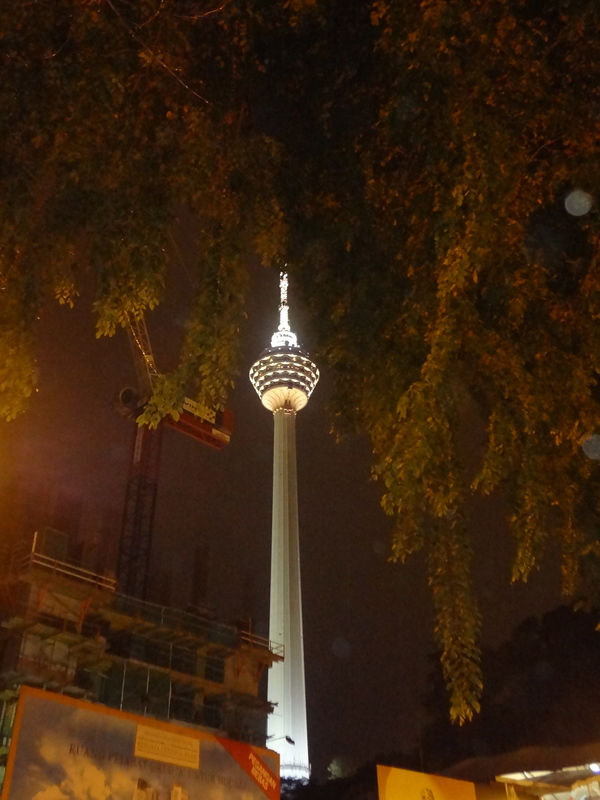 Another prominent structure is the KL tower. 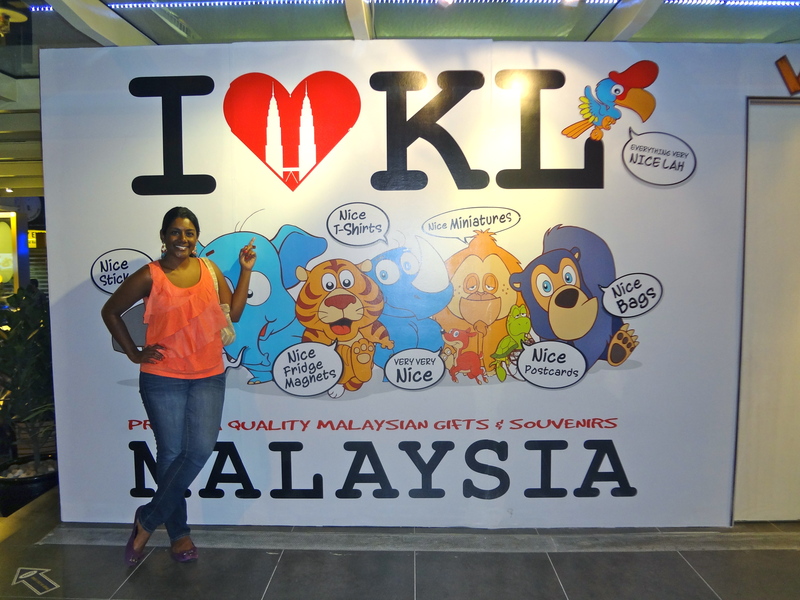 Getting around KL is fairly easy and very inexpensive. 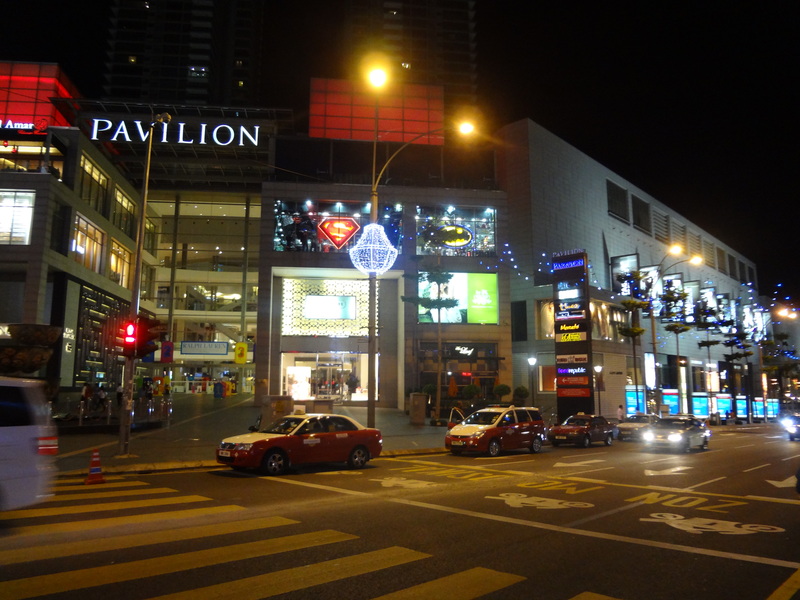 The monorail costs just $0.40 USD, but closes early, around 11pm. However, taxis are plentiful, and never cost more than a few dollars. 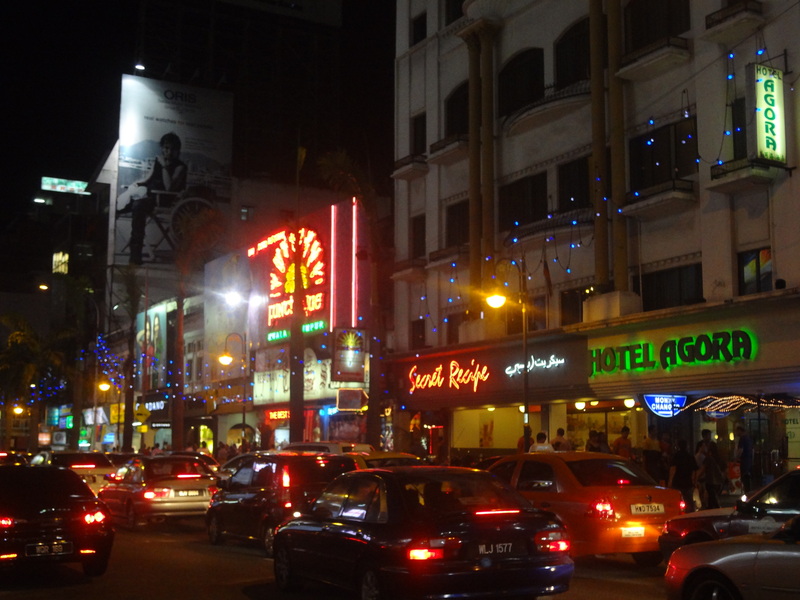 Bukit Bintang is a thriving part of town with lots of shops and restaurants, and filled with locals enjoying the evening. 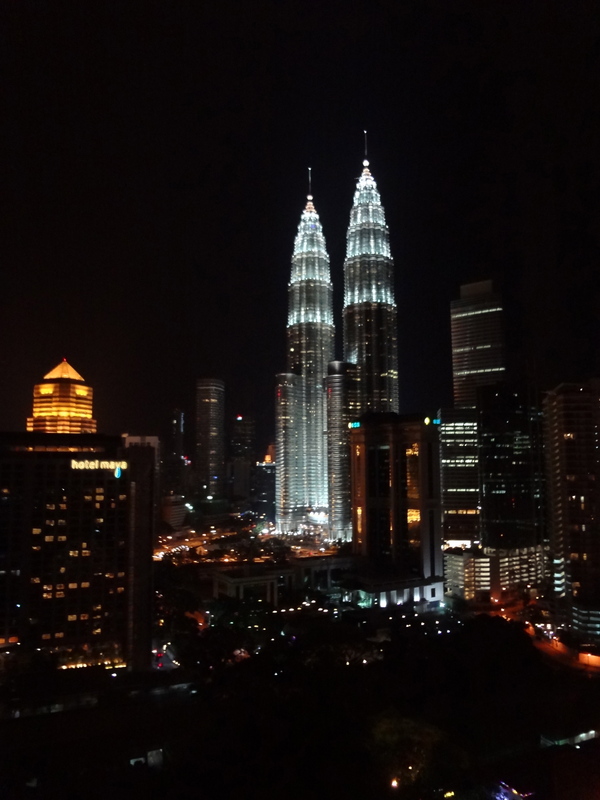 Back to my room… and this view! No pictures of the rooms interior? Nothing too exciting, but it was a huge upgrade compared to some of the other rooms I’ve stayed in! I’ll try to post a few pics today.